I joined fellow Camden Conservatives Cllr Claire-Louise Leyland, Natalie Eliades, and Genevieve Arblaster-Hulley at today’s Walk for Freedom to mark Anti-Slavery Day on Sunday. We think of slavery as a historic injustice, but it’s still with us today. There are over 10,000 slaves held in the United Kingdom today – many of them young women that are sexually exploited for their traffickers’ gain. Globally, slavery and human trafficking is a £99bn industry of oppression and it has to be stamped out. I’m proud that the Conservatives put in place the UK’s first ever Modern Slavery Strategy and passed the Modern Slavery Act in 2015 to help combat it. I welcome these steps, but much more needs to be done for the victims and former victims of slavery. 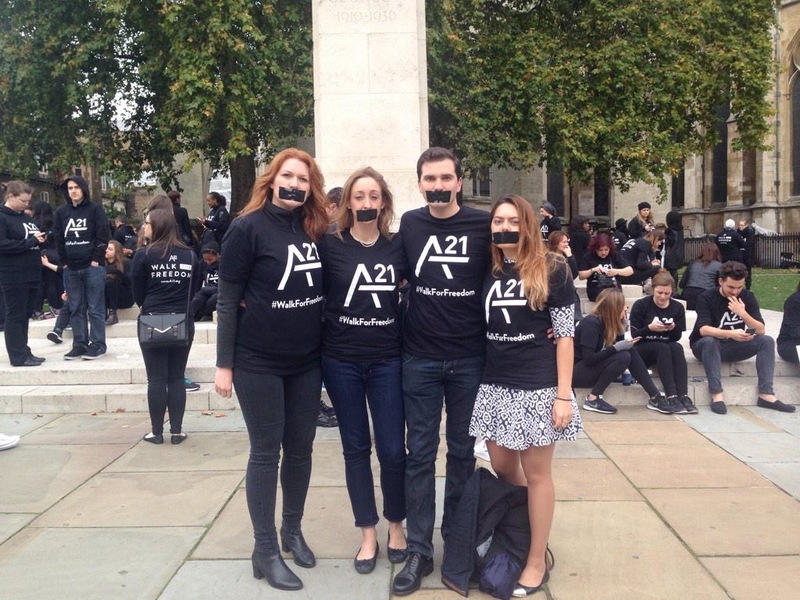 Organisations like A21, which organises the Walk for Freedom, are vital to increasing awareness of the issue, and especially bringing people to call it what it truly is: slavery. For more details, check out the A21 Campaign’s website.